Wow — Christmas has come and gone already and I didn’t get to share with you all the great tips I had in mind. Guess I’ll just have to keep you in suspense until next year. But at least I have other tips I can share. And some of them have to do with Christmas. But with stuff to do after Christmas is over. Question: Are you the type of person who likes to take down your holiday decor the day after Christmas? Or do you leave it up until New Year’s Day? OR, do you leave it up even longer than that? Do tell. And just so you know, there’s no wrong or right time frame here. It’s completely personal. I like to leave my decor up until the first week or two of January. It just makes me happy. And then when I take it down, I’m very ready to take it down. Since this week is still part of our Christmas vacation — my husband even has the rest of the week off — I might post something this week; I might not. It depends on what we’re doing together as a family. I hope your Christmas was wonderful and that you took time to enjoy being with family and friends. Ignore the fighting children and just smile, or laugh, or cry, or wish you had a padded cell (for your children, not you). 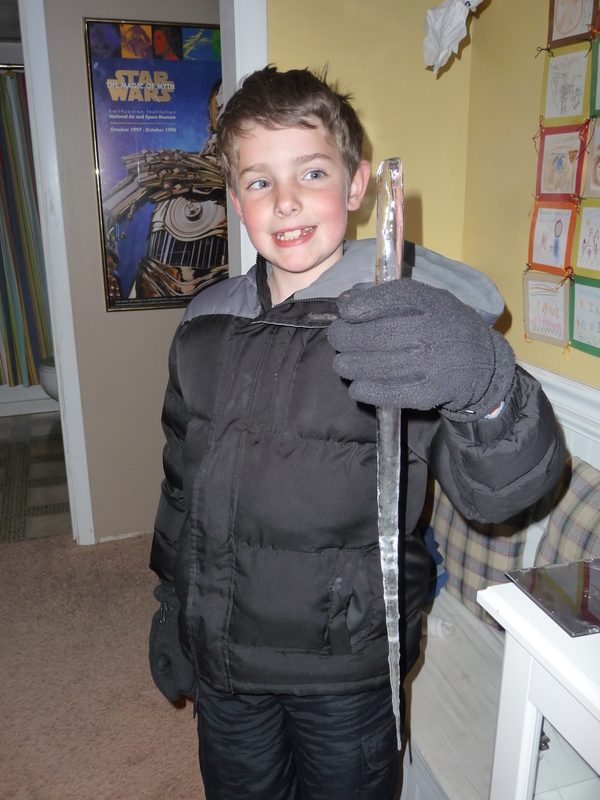 Have a wonderful week and make sure to take a picture of your child crossing his eyes while holding a very long icicle! This entry was posted in Holidays, Organizing. Bookmark the permalink.